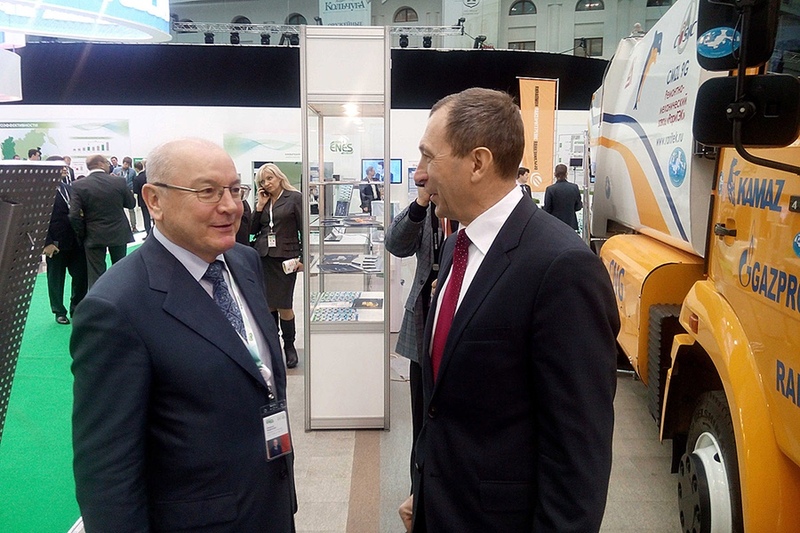 KAMAZ participated in the second international forum on energy efficiency and energy conservation ENES-2013 organized on the initiative of the Ministry of Energy of the Russian Federation and the Government of Moscow. The ENES-2013 forum is not only the main event in the sphere of energy efficiency, but also a professional business ground on which the representatives of energy companies and the state authority gather together. This year, the Russian Prime-Minister Dmitry Medvedev is one of its participants. 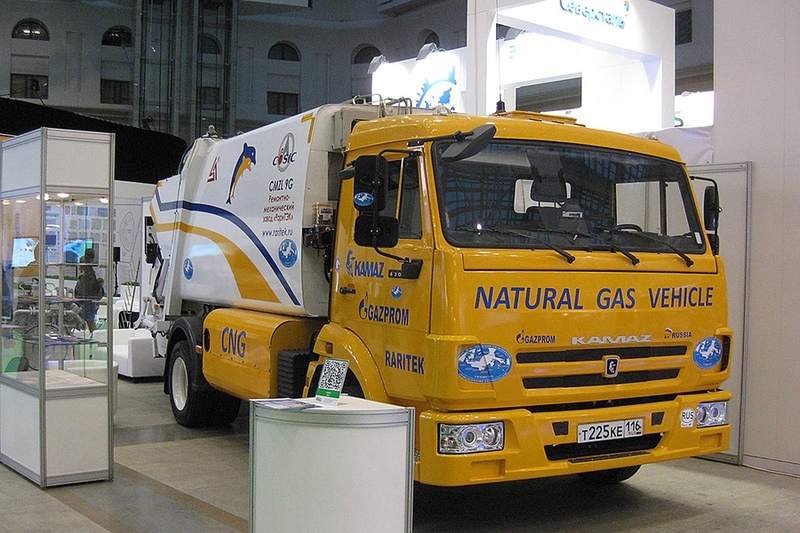 The KAMAZ stand for this event was made together with an official distributor of KAMAZ manufacturing gas-powered vehicles – RariTEK. The guests and participants of the forum managed to see a production gas-powered municipal vehicle based on a two-axle KAMAZ-4308 and get answers to their questions from KAMAZ’s representatives. Evgeny Pronin, Deputy Director General of OJSC KAMAZ for Sales and Service, and the company’s marketing experts communicated with the visitors. A rear-tipping CMZL-9G garbage truck on a KAMAZ-4308 chassis displayed on the stand is designed for computerized and hand loading of solid domestic waste from standard containers with a capacity of 0.12 m3 and 1.1 m3 into a body, waste compaction, transportation and mechanized unloading in places of utilization. A fuel system of the vehicle features four tanks on the frame: two 100-litre tanks on the left side and two 80-litre tanks on the right side. The total capacity of the tanks is 360 litres or 72 cubic meters of compressed natural gas by pressure of 200 atm, which enables to travel 300 km without refueling. The vehicle is equipped with a modern turbocharged and charge-cooled gas engine generating 190 hp, with an electromagnetic dosing system, multipoint injection and spark-plug ignition systems. The visitors and participants also took a great interest in a displayed model of a line of gas engines with a capacity of 11.76 litres and an engine net power ranging from 300 to 400 hp. The engine line is being developed under a contract with the Ministry of Education and Science with the participation of Kazan State Technical University. These engines comply with Euro 5 emission standards for alternative fuels (compressed and liquefied gases) and can be modernized up to Euro 6. Some components of the new models are made by Bosch, a partner of OJSC KAMAZ.